Hail forms in storm clouds. When the weather is warm and the air is full of moisture, these clouds can accumulate. Within the cloud, droplets of water can form. These droplets will fall and rise with air updrafts. If a droplet reaches a cooler part of the cloud, it can freeze. This frozen sphere can repeatedly fall and rise, and it’ll grow in size with each pass. Once that sphere is too heavy, gravity will pull it through the updraft force and it will fall to the earth in the form of hail. Hail forms in cumulonimbus clouds, which are the largest clouds on earth. These super massive thunderstorm clouds are large enough to hold millions of gallons of water. Since these clouds are so big, and since they have a huge height, hail has plenty of space to rise, cool, fall, and recycle through and updraft. 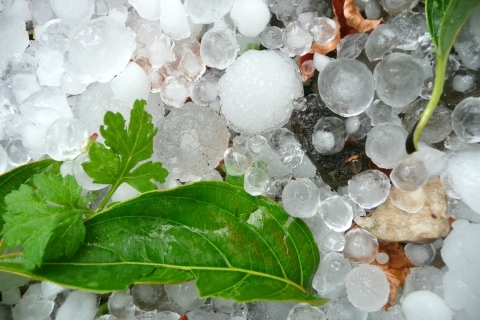 You can count the number of cycles that a hailstone has endured by cutting the hailstone in half. You’ll notice that there are rings of whitish ice and rings of clear ice. Each of these rings denotes either rising or falling through the stormcloud. Hail causes massive amounts of damage. It can injure or kill people. It can wipe out entire crops in a matter of minutes. It can damage buildings and break windows. It can damage vehicles. 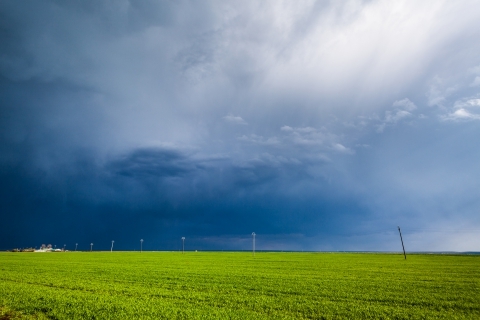 You can get insurance to protect your property from hail damage. The largest hailstone by diameter fell in Vivian, South Dakota in July of 2010. It measured 7.9 inches in diameter, and weighed in at a whopping 1.94 pounds. When it comes to hail damage repair, we’re your local specialists. 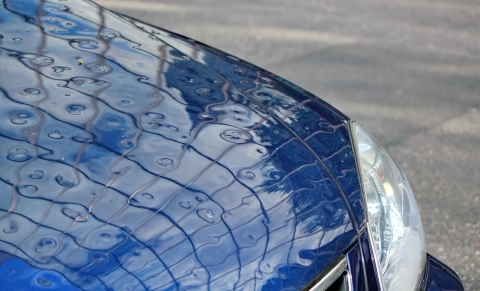 DMG|PDR provides dent repair services for vehicles damaged by hail here in Texas. Get in touch with us to learn more about our services!